Andre Ayew and Bafetimbi Gomis scored twice in five minutes to complete a second half comeback and inflict Manchester United’s first defeat of the season. The visitors took the lead early in the second as Juan Mata smashed Luke Shaw’s cross from close range.Within 12 minutes, a swift counter-attack by the Swans led to the equaliser as Ayew scored with a well-directed header. The Ghanian then turned provider as a splendid through ball led to Gomis’ ninth goal in ten games. The result meant that Louis Van Gaal marked his 50th game in charge with a defeat, much like his opening game against Swansea last season.Here are the major talking points from the game. The value of a good substitution is often underestimated. Given most managers make use of their full quota each game and only rarely do substitutes get goals or assists, you often wonder why managers even bother unless someone is injured. But thinking along those lines completely misses the point of a substitution. 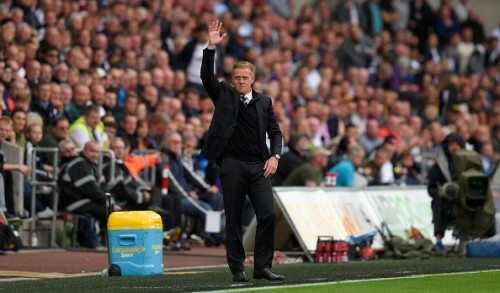 With his side losing and desperate to make an impact, Garry Monk brought on Ki Sung-yueng for the ineffective Wayne Routledge and that changed the complexion of the game. Monk switched to a narrow diamond in midfield with two up front, fully aware that it meant that they would concede the advantage on the flanks. On the face of it, that might have blown up in his face, especially with Luke Shaw and Matteo Darmian left with plenty of space to run into. But what that meant was that it was two on two at the back and United’s centre backs had to split and cover for the marauding full backs. 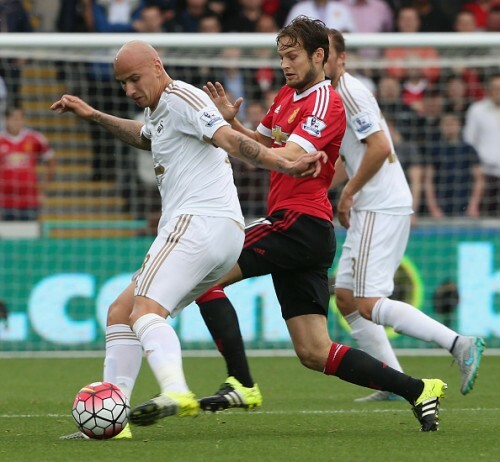 In the end, the space left by Shaw and Darmian was expertly utilised by the Swans, who made it three consecutive wins over United in the league. 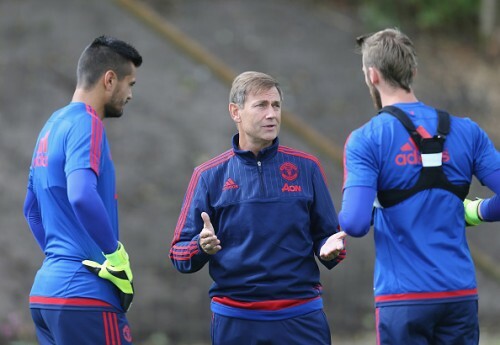 Is Romero worthy of being United’s no.1 keeper? With the situation surrounding David de Gea and Victor Valdes still unresolved, Van Gaal has no option but to play Sergio Romero in goal. Against Swansea, the Argentinean showed once again why, despite three consecutive clean sheets in the league, he still isn’t worthy of being a Manchester United No.1. One of the hallmarks of Van Gaal’s United side is their ability to keep possession and build from the back. For that to work, the keeper needs to be good with his feet. But the amount of times the ball was kicked straight out of play or into the opponent’s feet showed that the Argentine isn’t confident with the ball at his feet. Every keeper makes mistakes and while Romero’s tame attempt to stop the second goal can be dismissed as a blip, his distribution throughout the game showed why United still need to keep hold of De Gea or bring in someone to replace Romero. When Van Gaal moved Daley Blind to centre back, there were eyebrows raised, but two Man of the Match performances in the opening three league games showed that the Dutchman wasn’t wrong to move him there. 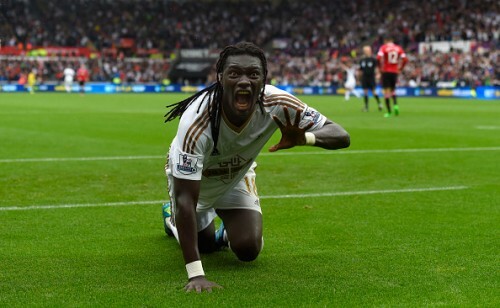 But after the battering he received from Gomis on Sunday, it is unfair to point the blame solely at him or the coach. Blind is an intelligent and versatile player, who has the positional awareness to play in multiple positions with considerable ease. But what he doesn’t have is the pace or the upper body strength to hold off strong, powerful centre-forwards like Gomis. Although Chris Smalling did his utmost help out his colleague, ultimately it wasn’t enough. Against teams that play just one striker, Blind is an excellent centre back, as he can read the game and dictate play from the back, leaving Smalling to do the dirty work. But if that striker is quick and strong like Gomis, he can be exposed and Van Gaal must quickly learn from his mistake of playing him against every side. One of the main reasons why there are so few great centre-forwards in the world right now is due to the way most teams play. When you play with just one up front, you need that player to not only have the strength to outmuscle centre backs, but also the pace to run in behind the defence. Not just that, the amount of running you need to do, to create the space for others, is simply a task beyond most strikers. At the Liberty stadium, Gomis and Rooney were given the responsibility of leading the line on their own. While the Frenchman enhanced his already growing reputation, Rooney spent more time berating at the referee than trying to help his team out in attack. And the two chances he did get, he wasn’t sharp enough to take them. That is not to say that the Englishman can’t play that role, he did so to great effect against Brugge on Wednesday, but if he is to succeed, he needs more support from the likes of Depay, Mata and Herrera. 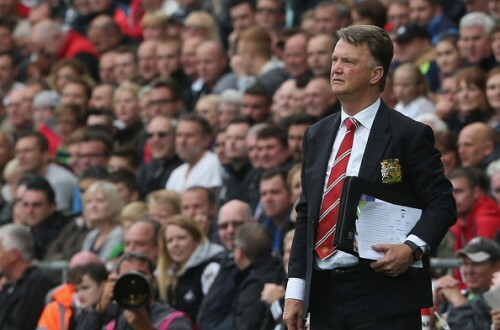 Only three players in the Manchester United lineup against Swansea were not signed by Van Gaal. So after a season in transition, the Dutchman has no one but himself to blame, if United don’t challenge for the title this season. But despite spending over £200 million on players since his arrival, the 64-year-old is no closer to creating a squad that can challenge for honours, both domestic and abroad. From having five strikers at the start of last season, the Red Devils could find themselves relying solely on Rooney for goals, if Javier Hernandez does indeed move. For a club of United’s stature to be left so short in such a crucial position smacks of bad planning. While the Englishman might yet regain his form and score plenty of goals, any injury to him could prove disastrous and that is why United must once again dip into their pockets and find at least one more player before the transfer window closes on Tuesday.